New auto-recovery feature. The content of open editors is remembered and restored if a crash occurs. 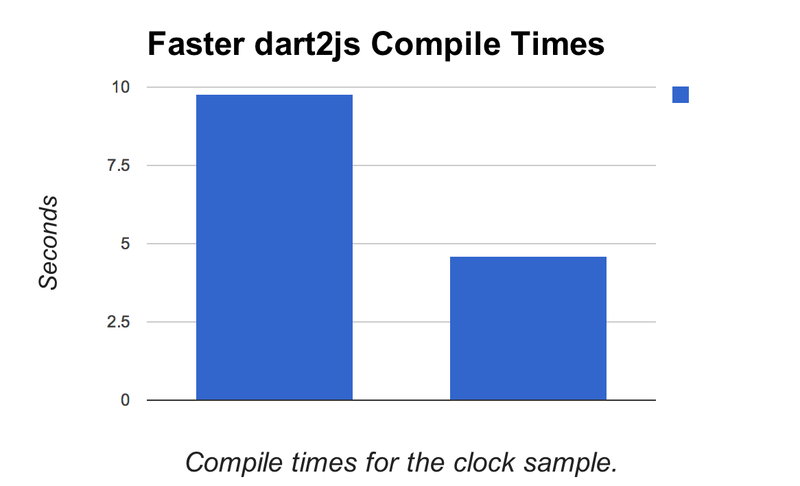 The Editor now uses the dart2js snapshot in the SDK. Compile times for the clock sample went from 9.8 seconds to 4.6 seconds. Saves in the editor should be significantly faster. Times for our torture test file for saves went from 900ms to 30ms. Report errors for using deprecated #library #import #source directives. Resolve and refactor-rename [id] and [new id] references in documentation comments. Quick Fix to create missing “part” file. View the changelog for the full list of changes, and to get started with the Editor see our tutorial. And as always, we invite you to join our Dart mailing list, ask questions on Stack Overflow, or file feature requests on dartbug.com.